Title: FURTHER STRATEGIC AND POSSIBLE PROPHETIC IMPLICATIONS OF AMERICAN USAGE OF DEPLETED URANIUM -- IS D.U. PART OF THE PROPHETIC "HUGE SWORD" OF THE SECOND SEAL ? Now that we have thoroughly discussed the medical and physical properties of Depleted Uranium in our D.U. Articles Section, and now that we have seen how the heavily contaminated areas throughout Iraq have completely fulfilled the End of the Age prophecy against Iraq (NEWS1920), let us go on to study how D.U. 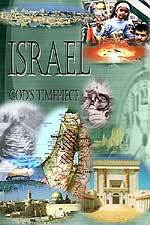 might help fulfill the critically important prophecy of Revelation 6:-2-3. Let us examine this Scripture and then study the indepth meaning of key words in the original Greek. Therefore, the world is facing a double-barreled shotgun of wars. First, just to produce Antichrist, we have to go through the Final Birth Pangs War -- the World War III the Illuminati has been planning since 1870 (NEWS1056). Thus, prophecy foretells that horrific world wars bracket the appearance of Antichrist on both sides -- a world war to produce him on the world scene and a world war (or series of world wars) coming after his appearance. The Christian Church has largely lost sight of the Final Birth Pangs War, because it has allowed its prophecy teaching to be taken over by the Tim LaHaye/Timothy Ice prophetic teaching program, which conveniently hides this terrible war from the people. Christians who have attended one of these prophecy conferences will walk out thinking that they will be "living in clover" one day, be Raptured the next day and then the "bad stuff" will happen. Thus, the Church has lost its urgency and much of the impetus for a holy life. Few pastors are today thinking of the Final Birth Pangs War in fulfillment of Matthew 24:6-8, a major mistake as they contemplate the meaning of our attack against Afghanistan and Iraq; such pastors will never properly understand why we are in these countries since they have lost sight of the prophetic fact that the world must go through a major world war just to get Antichrist on the world scene. 3) Second Seal is opened -- The fearsome rider on the Red Horse will ride forward, slaughtering men with a "huge sword". Our focus in this article will remain on the wars produced by this seal, and what may constitute the "huge sword". Now, let us go again to Revelation 6:3-4, for this passage is dynamite and must be understood if we are to properly comprehend the complicated subject ahead of us. We have listed this verse, above, so we now need only to go to the exegesis. Listen to how powerful this Scripture truly is, in the original Greek. In other words, this "sword" wielded by the rider on the Red (Second) Horse is uniquely powerful, and deadly, and is wielded in warfare; the symbolism of the sword tells us this much. A very powerful global war(s) will break out, or the effects will continue from wars before, and the people directing this war (the rider of the Red Horse) deliberately goes forth to slaughter mankind. The goal of slaughtering civilians is foremost in the mind of the rider of the Red Horse. We propose that the Depleted Uranium dust now being exploded on the battlefields of Afghanistan and Iraq and wafting over much of the Middle East may be a part of the "huge sword" of the Second Seal. The first time D.U. munitions were used in battle was during the 1991 Iraq War. Depleted Uranium dust has been blowing throughout the Middle East for 13 years at this point. As we shall see in a moment, cancer rates for many different cancers are skyrocketing, other diseases are increasing dramatically, and many people are already dying. Further, huge quantities of D.U.-contaminated dust has been blowing over the peoples of this region since November, 2001, when our forces began to use Depleted Uranium munitions upon the Afghan people. Since people begin to get sick within a year of breathing in this contaminated dust, and since the full affects will not begin to be felt for 8-20 years, people in this region are already dying, but will will begin to die in serious numbers from 2010 onward. Many people will have died before that time, but the numbers will not be so great it cannot hidden until about 2009. Let us review the expert testimony of a retired Admiral of the Indian Navy. the Hague convention and domestic US military law ... Cancer is initiated with one alpha particle, its daughter isotopes effect generations as the isotopes bio-concentrate in plants and animals, and travel up the food chain. It is a nuclear weapon ... They enter the body through the lungs, the digestive system or breaks in the skin. One gram of DU releases more than 12,000 particles per second. The radiation slowly kills the cells that make life possible. The Gulf War syndrome of 1991 did just that ( reported by Dr Asaf Durakovic, Prof. of Medicine , Georgetown University, and discoverer of the ‘Gulf War Syndrome’.)" Let us stop right here to properly digest what we have just learned. For those of you who have read our earlier articles on D.U., this information will serve as a primer. 1) A person will begin to die when he or she ingests just "one alpha particle" of Depleted Uranium. Since this particle can be carried into the lungs in a dust particle so small a person will not realize they ingested it, this uranium poisoning is inevitable and cannot be avoided by the average person living in this area. 2) This uranium poisoning "is a nuclear weapon" that "travel(s) up the food chain". All the essentials of life -- air, water, food -- are contaminated. 3) The 1991 "Gulf War Syndrome" was the result of D.U. Remember the advice given us by that doctor of a foreign army trained in modern desert warfare warned us in May-June, 2003, that the uranium would act as a "wild card", causing people to die of various ailments. While none could be "officially" tied to D.U., the fact of the matter was that D.U. was most definitely at the bottom of all of them. "The induction of DU weapons in 1991 in Iraq, the radio-active trash from nuclear plants broke a 46 year taboo. This Trojan Horse of nuclear war, an omnicidal weapon has since then continued to be used more and more. DU remains radioactive longer than the age of the earth (estimated at 4.5 billion years.)" This term, "omnicidal" is apparently a made-up word, created by combining the prefix "omni" and the word "homicidal". The word "omni" means "all", or "everywhere", while the word, "homicidal" means murder. Therefore, the word, "omnicidal" means "murder of everyone, everywhere". This also conforms to the warning given us by the doctor of a foreign army. The contaminated Depleted Uranium dust blowing throughout the region will murder everyone living in the area: hence the created word, "omnicidal". "Trojan Horse -- 1. Greek Mythology -- The hollow wooden horse in which the Greeks hid and gained entrance to Troy, later opening the gates to their army. In this sense, also called, 'Wooden Horse'. 2. any subversive group or device insinuated within enemy ranks." This term literally means that a "Trojan Horse" weapon is actually designed to accomplish the exact opposition of the stated rhetoric. In this Greek Mythological example, the Greeks presented the citizens of Troy with a "gift", hoping they would take it inside the city gates. Once inside the gates, the Greek soldiers hiding within poured out of the wooden horse, overcame the guards of the city gates, and opened the gates to their compatriots hiding outside. In like manner, President Bush, Sr., stated loudly and clearly that we were not going to allow Saddam's invasion to permanently overcome Kuwait; the reality was that we deployed an army which was using Depleted Uranium munitions for the first time. The reality was located in exactly the opposite direction from the rhetoric. The reality was sickness and slow death, quite opposite from the high-flying rhetoric. President Bush, Jr., likewise ordered an invasion of Afghanistan, for that was the country in which Osama bin Laden was supposedly hiding. We all know by now that the attack on 9/11 was carried out by sophisticated American technology employed by sophisticated government provocateurs. Just go to our Bookstore to type in "9/11" or go to our blue Search Engine button on the Home Page and type in "9/11" to see all the information we either have bought for sale or have written to demonstrate this reality. The reality was sickness and slow death for the Afghani villages, quite opposite the high-flying rhetoric of protecting America and freeing Afghanistan from the wicked, repressive Taliban. Finally, President Bush, Jr., invented all sorts of lies, exaggerations and distortions to convince the world that we needed to invade Iraq so that Saddam could not use his Weapons of Mass Destruction upon his immediate neighbors or give them to Osama bin Laden to use in terror attacks against Western targets. Now, Bush's own investigator admits that there was no WMD and the 9/11 Commission boldly stated that it could not find any solid link to bin Laden. Once again, the reality for the citizens of Iraq is sickness and slow death for the entire country and for the Middle Eastern nations, quite contrary to the flowery rhetoric about freeing the people from Saddam's repressive rule and creating a democracy. We posted an article in November, 2001, entitled, "Breaking Out of the Mental Box -- Learning to Think In The Opposite Direction of Propaganda To Find The Truth" (NEWS1558). If you have not read this article, please do so immediately, for the truth we espouse is desperately needed if you are to understand the ugly true reality behind the flowery rhetoric in this matter of Depleted Uranium contamination. Just as the Indian Admiral states, the reality of D.U. is sickness and death to whole populations, quite different from the wonderful rhetoric to justify the invasion. Yes, Depleted Uranium is a "Trojan Horse" weapon. Now, let us go back to the position paper from Admiral Vishnu Bhagwat to discover the horror of the radius of death which is occurring from the battlefields of Iraq and Afghanistan. We have created a map showing a 1,000-mile radius from both Baghdad, Iraq, and Kabul, Afghanistan. Study this map carefully, as you will be shocked as to how many countries are being impacted by this deadly dust. Remember that contaminated D.U. dust has been blowing 1,000 miles away from southern Iraq/Kuwaiti border area since 1991. The Cutting Edge Webmaster checked on "prevailing winds" in this area and discovered them to be "East, Southeast". Thus, the 1991 Gulf War uranium pollution has been blowing southward into Kuwait, Saudi Arabia, the U.A.E., Iran and countries eastward to the western border of Afghanistan. Since the winds do occasionally shift, countries like Turkey, Syria, Israel, Jordan, and Egypt have received some contamination. Now, look at the contamination currently being spread in a 1,000-mile radius from Kabul, Afghanistan: Pakistan, India, Nepal and eastern parts of China and Tibet. Our forces have been spreading D.U. dust in this region since November, 2001. "More than 500 tons of DU munitions have been dispensed in Afghanistan. Professor Yagasaki calculated that 800 tons of DU is the atomicity equivalent to 83,000 Nagasaki bombs ... The amount of DU used in Iraq in 2003 is equivalent to nearly 250,000 Nagasaki bombs ( Busby and Leuren Moret have calculated that 1900 tons of DU is equivalent to 60 TBq of Alfa and Beta particulate activity). "We need not enumerate the DU munition types used in Iraq 1991, Kosovo 1999, Afghanistan 2001-04 and Iraq 2003. They have been dispensed by all air / ground and sea systems on innocent civilians. DU burns intensely and is very hard. It releases Uranium Oxide. The aerosol contains particles of 0.5-5 microns in size, once they are in the air or dust they are inhaled or ingested, including from contaminated soil. Once in the lungs, one such particle is equivalent to having one X’Ray per hour, for life. Because it is impossible to remove, the victim is gradually irradiated. Still births, birth defects, leukemia, damaged central nervous systems and other cancers have been common in children born since 1991. Child leukemia has risen 600 % in areas of Iraq as reported by the Netherland Visie Foundation. Beyond just the health consequences, DU munitions are in fact, weapons of ‘Silent’ Mass Destruction in so far as the consequences of their usage are vast, indiscriminate and violate all Human Rights Conventions ... "
"In another paper Dr Mohammed Daud Miraki, Director Afghan DU Recovery Fund, quotes George W Bush , 'we will smoke them out', condemning the unborn, the living and the future generations of Afghans and the neighbouring people to a pre-determined, death sentence. 'After the destruction of our village, I realised that the Americans had sentenced us all to death. When I saw my deformed grandson I realised my hopes for the future have vanished … This time we are part of the invisible genocide brought on by America… a silent death from which we will not escape ( Jooma Khan of Laghman province..March 2003.) Similar stories are repeated from Paktita province of ‘Jelly Babies’. Pregnant women are afraid of giving birth…This is the legacy of US ushered liberation, freedom and democracy ... Testimonies of fathers and mothers are horrifying – 'What else do the Americans want ? They killed us , they turned our new-borns into horrific deformations, and they turned our farm lands into grave-yards, and destroyed our homes. On top of all this their planes fly over and spray us with bullets'...."
As of February 29, 2004, our forces had released the atomic radioactivity equivalent to 333,000 Nagasaki-type atomic bombs. Since then, we have replaced our original 2003 invading army with a brand new army and almost immediately began engaging Iraqi insurgents in renewed warfare. During the months of April-May, news stories appeared which stated that our forces were expending ammunition so quickly that our armament factories could not keep up; much of that ordinance is Depleted Uranium. We may very well have increased the atomic equivalency by a full 50% over that of February 29, 2004. The D.U. Video from Congressman Dennis Kucinich not only shows the effects of D.U. poisoning on infants, but also reports startling statistics on the levels of sicknesses like cancer today in Iraq. As the Admiral stated, which the medical doctor from a foreign army backed up, we are killing entire populations -- "Omnicidal" weaponry. What are the populations of these nations? All these countries are getting prevailing winds from the East, Southeast from the battlefields of Iraq and/or Afghanistan. How many people live in these areas? Not counting India, 297.5 million people live in the areas getting nearly daily doses of contaminated dust from Depleted Uranium munitions. The countries living within 1,000 mile radius from the battlefields of Kuwait have been getting radiated since 1991 -- 13 full years now. While news stories are suppressed, we now know that cancer rates are hitting sky-high levels. 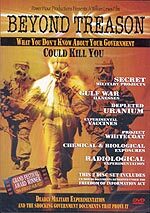 Once article in Rense.com recently reported that "over thirty percent" of all people in Iraq are now suffering from cancers and leukemia ("Ode To Nuha - US Depleted Uranium Takes Another (Victim)", By Rana El-Khatib, Rense.com, 9-8-4). The numbers of sick and dying are still small enough so that they can be either suppressed or covered by stories of people getting sick because of a collapse in the Iraqi health care industry. But, the numbers are going to get high enough in the not-too-distant future that the source cannot continue to be hidden. * NEWS1833 -- "U.S. - E.U. INVADING AFRICA -- AND ALL OTHER "NON-INTEGRATING GAP" COUNTRIES"
* NEWS1906 -- "BUSH ADMINISTRATION IS DEADLY SERIOUS ABOUT "SHRINKING THE GAP"
As you study this Pentagon-conceived map, which places a circle around all "Non-Integrating Gap" countries, you will realize with a start that the countries in the whole Middle East who are being "rained on" daily by Depleted Uranium dust, all fall within the general Middle East region of Non-Integrating Gap countries. Further, notice that by attacking Iraq and Afghanistan, the United States was able to greatly extend the reach of the deadly D.U. dust. Baghdad is separated from Kabul by almost 1,500 miles; therefore, by staging their attacks of 2001 and 2003 in Iraq and Afghanistan, respectively, the deadly range of contaminated dust is greatly extended -- remember now that the prevailing winds blow East, Southeast. We believe that Iraq and Afghanistan were selected to be attacked with our D.U. army simply because of their geographical locations within this region. So, why did Bush and Blair really invade these countries? Since finding Iraqi WMD turned out to be an official lie and since no one has ever actually seen Osama bin Laden in Afghanistan since 9/11/2001, we must discount the official stories. Why did we invade these two countries? We believe they are part of the strategy of the global forces led by President Bush, attempting to force all countries not now capable of integrating into the global economic system to undertake radical changes so they can integrate, or kill those nations who cannot rapidly integrate. Let us quickly review our original article on this subject, NEWS1833, paying special attention to the map provided. The strategy being followed by the United States and the European Union is to "shrink the gap". 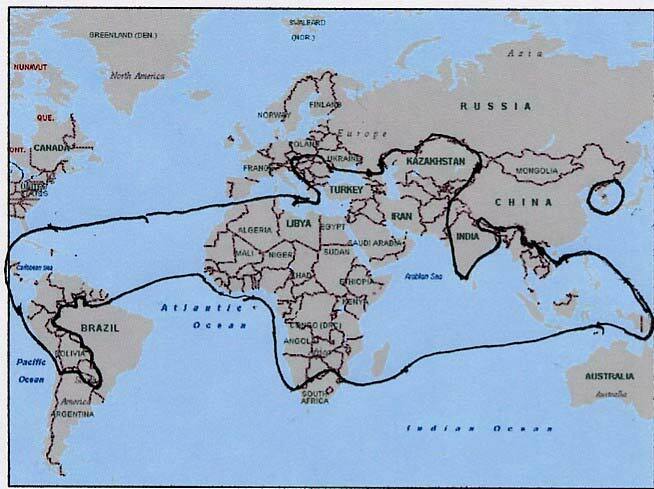 In a very real sense, the United States and its key allies are planning to invade key countries within "Non-Integrating Gap" region in order to "take real ownership of strategic security" from that country. Once America or the E.U. or Australia or Indonesia, or Thailand -- each country operating within its "sphere of influence" -- takes over a country they invaded, they take ownership of that country's "strategic security" for the sole purpose of forcing that country's economy and culture into the "Functioning Core". The stated objective of this plan is that countries whose economies are deemed to be close enough to function within the coming cashless global economy where "no man can buy or sell save he that had the mark" (Rev 13:17) are supposedly being invaded and/or threatened with "Regime Change" through covert actions by our Special Forces (NEWS1906). The official story as provided by the Esquire Magazine article, above, and by the book by the same name, is that, once these countries are seized and controlled, they can quickly and easily be "kicked into the system"; they can fairly quickly move their government and their economy into the cashless global system. However, now that we have been in Iraq for 18 months, it is clear that we have not committed enough military and civilian resources to quickly move Iraq into the cashless community of nations. Rather, we have committed a force of only 50% of the manpower the Army's Chief of Staff Shinesky said they would need (September 25, 2004 Newsletter). Further, a war game scenario of May, 2003, told our top civilian and military leaders that the dangers we would face by having such a small military force would be asymmetrical, exactly what our boys are facing over there right now ("War game's outcome stuns decisionmakers", 16 May 2003, Defense News). So, why did we commit 50% less troops than General Shineski stated we would need to defeat a guerilla war and rebuild Iraq? The answer may surprise you, but stay with me, for I believe the answer involves a combination of Depleted Uranium munitions (silent nuclear war) interacting with the dynamics of the Pentagon's "Non-Integrating Gap" vs "Functioning Core" nations. As I contemplated the facts last year when writing NEWS1833, the thought occurred to me as to what would happen to countries so "un-modern" that their economies could not catch up to the coming, planned cashless system of the Illuminati? I thought of the poor average person in Uganda, Africa. No one can logically believe their society would ever be able to change to where "no man can buy or sell save he that had the mark", at least in less than 100 years. The same thing may be said of the average citizen of Saudi Arabia, Iraq, Afghanistan, Pakistan, Nepal, and many others within that 1,000 mile radius. What are you going to do with these nations? If you are the Luciferian Illuminati, you are going to kill them! New Age author, Bill Cooper, spoke to this part of the plan. What did Admiral Bhagwat state about Depleted Uranium weapons? He said they were silent nuclear weapons! Is it possible that the "short" nuclear global war was quietly replaced by a longer-term silent nuclear war using D.U. weaponry? Is it probable that the Illuminati came to believe that the effects of D.U. munitions on a population would "have the same effect as the Black Death of history"? I believe it to be the case; and, I believe the Illuminati might have had this type of war planned two full decades ago. In 1981, President Reagan began to massively rebuild America's conventional forces after President Carter had deliberately drawn them down. These new "conventional forces" were armed with Depleted Uranium munitions. The task of building this new force was completed in 1988, shortly before Reagan left office. Right on cue, Saddam Hussein ordered the invasion of Kuwait on August 2, 1990. Both the air war and the ground war featured history's first use of Depleted Uranium munitions. Civilians have been dying ever since. The Bible pictures a rider on a Red Horse of War riding forth to "take peace from the earth", which is simply a euphemism for war, since the world will have just passed through the earlier "Final Birth Pangs War" (Matthew 24:6-8) required to just get Antichrist on the world scene. Furthermore, the world has not known much peace during the entire 20th Century. Pockets of nations have known some peace, but the world generally has been embroiled in continuous war, especially during the past century. When this rider goes forth, he actively wages war using a "huge sword". This mightily strong word, in light of the technologies of today, most certainly means Weapons of Mass Destruction -- Chemical, Biological, Nuclear, Scalar, and who know what other types of weapons? God also seems to plant the idea in men's minds to want to wage war, because this war results in a great slaughter of mankind. There is no doubt but that this rider initiates great war using unique weapons which result in a "slaughter" of great numbers of mankind. However, I see nothing in this text which would prohibit a passive, on-going slaughter which will be reaching its pinnacle at just the time when the rider of the Red Horse rides forth. The very nature of D.U. poisoning is such that the greater numbers of people begin to get really sick in large numbers only about 5-10 years after initial exposure. The doctor of a foreign army told me in June, 2003, that Iraq would be rendered uninhabitable in less than 20 years. Admiral Bhagwat stated, above, that the effects of our 2003 invasion would not begin to be fully apparent until 2008 and beyond. Dr. Custer's exegesis of Revelation 6:3-4 speaks to a continuous action of war: Listen once again: "He has great power, but he must constantly use it in order to stay in power." This explanation speaks to a continuous action; further, we know that, when Antichrist arises through the First Seal being opened, the rulers of the earth are giving him their power and authority (Revelation 17:12-13, 17). This power possessed by the final rulers of the earth was obtained through continuous war and evidently will continue in war once Antichrist is on the world scene. Therefore, will the numbers of the dead from this poisoning be reaching its apex at the time when the rider of the Red Horse of War is riding forth? Is the "silent" nuclear weapon called Depleted Uranium poisoning a part of the "huge sword" of war depicted by the Second Seal? We are not predicting that Antichrist will arise in 2008, or any year; however, we do expect him on the world scene soon and find this peaking of American use of Depleted Uranium poisoning in this time frame to be most intriguing. The facts do seem clear: the Illuminati is deliberately spreading uranium poisoning through a huge, key portion of those Non-Integrating Nations known generally as the Middle East (more specifically known as the "west, central and south Asian regions"). The message is now all too clear to all the rest of the Non-Integrating states of the world: you are dead if you do not rapidly change your government and economy so that your nation can convert to the cashless economy where "no man can buy or sell save he that had the mark" (Rev 13:17) In fact, it is already too late for almost 300 million people in this region of the world. The death sentence has been passed and the deadly agent has been deceptively set at work amongst the victims. Truly, the End of the Age is speeding rapidly towards all mankind. Are you spiritually ready? Is your family? Are you adequately protecting your loved ones? This is the reason for this ministry, to enable you to first understand the peril facing you, and then help you develop strategies to warn and protect your loved ones. Once you have been thoroughly trained, you can also use your knowledge as a means to open the door of discussion with an unsaved person. I have been able to use it many times, and have seen people come to Jesus Christ as a result. These perilous times are also a time when we can reach many souls for Jesus Christ, making an eternal difference.